Let's Talk about music. Music education to be specific. It is something that I'm passionate about and feel that it can bring a whole lot of happiness into any home or classroom. In this new video series, Some Notes About Music, I will be exploring different aspects of music education. These are a sample of the topics I will be going over in the coming weeks. More importantly, I want to hear from you. What musical questions do you need answered? Send them in by commenting on our Youtube channel or Instagram page. We promise to include your question in an upcoming Some Notes About Music video. We know that it sometimes gets tough to stay on track with all of your kids activities. Whether it's sports, dance, academics or music, your day is busy and hectic. 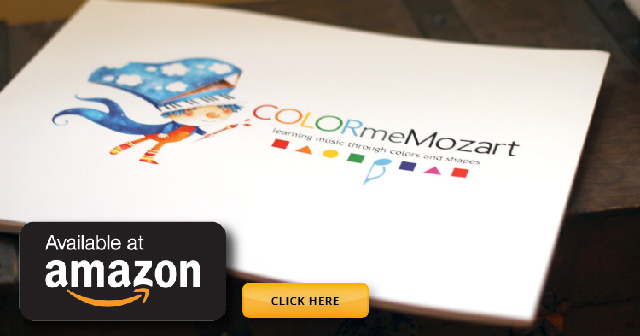 Our goal here at Color Me Mozart™ is to relieve you of at least the music education part of your day. We wish we could help you with dance but it's not a pretty sight! lol! Write to us anytime even if it's just to let us know how you're doing. We love to hear music updates from our musical family. Send us pics and videos of them playing and we'll be happy to share it here on the website and on our Instagram page.